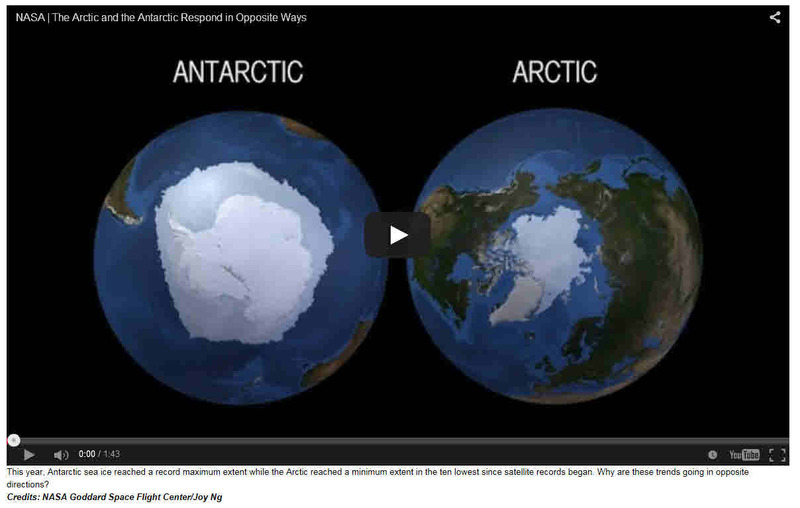 The Lunacy of Climate Change Alarmism – How Can People Be So Stupid? Obama made his obligatory appearance, and gave a 14 minute lecture in his allotted 5 minute space. His trip there on Air Force 1 meant the expenditure of more CO2 into the atmosphere than the combined output of 31 homes for a year! If he was so concerned, why didn’t he just do an appearance by video conference? Of course, that applies to all of the attendees. Today, thanks to the Internet, there is virtually no reason for personal appearances or speeches. It can all be done via video-conference. But, of course, they realize that there is no real crisis. The whole AGW (Anthropogenic Global Warming, or Man-Made Global Warming) scam is a total fraud, and they know it. The whole thing is political, and it is all about global government, taxation, and wealth redistribution, as well as total control over the lives of the people of the world, especially in the developed Western World. Through the abomination known as Agenda 21, they intend to take total control over the lives, property, and rights of people in the Western World, and especially in the United States. So, why do I say that CO2 caused Global Warming is a fraud and a total non-issue? I look at the data and use some common sense. What qualifies me to do this? I am an engineering consultant with a Bachelor’s and Master’s degree in electrical engineering from Lehigh University. Before I ran out of calendar time to complete my PhD dissertation studies, due to the time I needed to put into my consulting business, I was a PhD candidate at Lehigh. As a graduate student, I primarily studied solid state physics. Solid state physics is behind the operation of all solid state devices like iPhones, Android phones, and computers. Most people know solid state physics by the name of quantum mechanics or quantum physics. During his life, even Einstein did not understand or accept the strange things that happen in quantum mechanics. But, it is the basis of all modern electronics since William Shockley invented the transistor in 1947. So, while I am not a “climate scientist”, whatever that is, I do understand science and physics in the deepest sense. And, I can read and understand scientific papers. And, I understand how science is supposed to work. The late Dr. Richard Feinman, the chairman of the Challenger Space Shuttle disaster study, and, arguably, one of the greatest scientists since Einstein, said “It doesn’t matter how beautiful your theory is, it doesn’t matter how smart you are. If it doesn’t agree with experiment, it’s wrong.” This is, in essence, my argument with climate scientists who claim that we are all doomed! Their “scientific” predictions simply don’t fit the data. How about the danger of rising sea level? Well, that is not much of a problem, either. 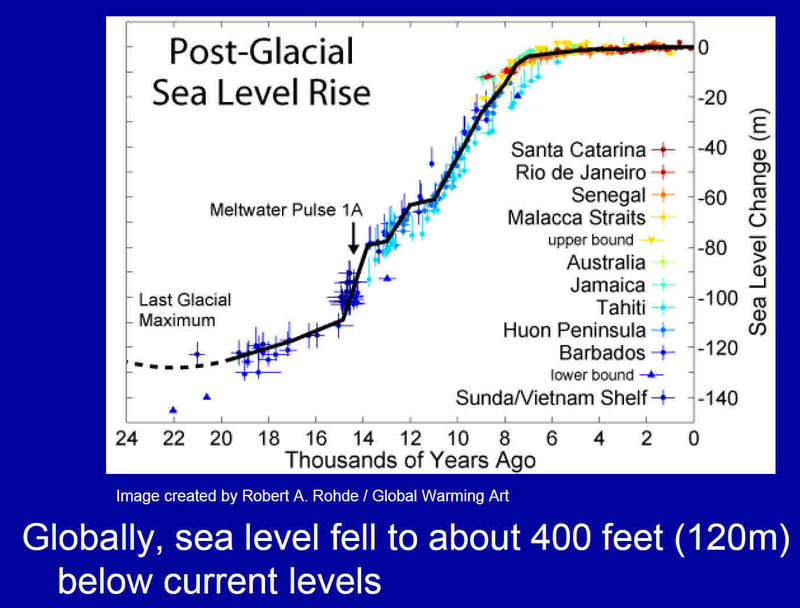 Yes, sea levels are rising, but the rate of rise has been amazingly steady as the graph from the EPA below shows. 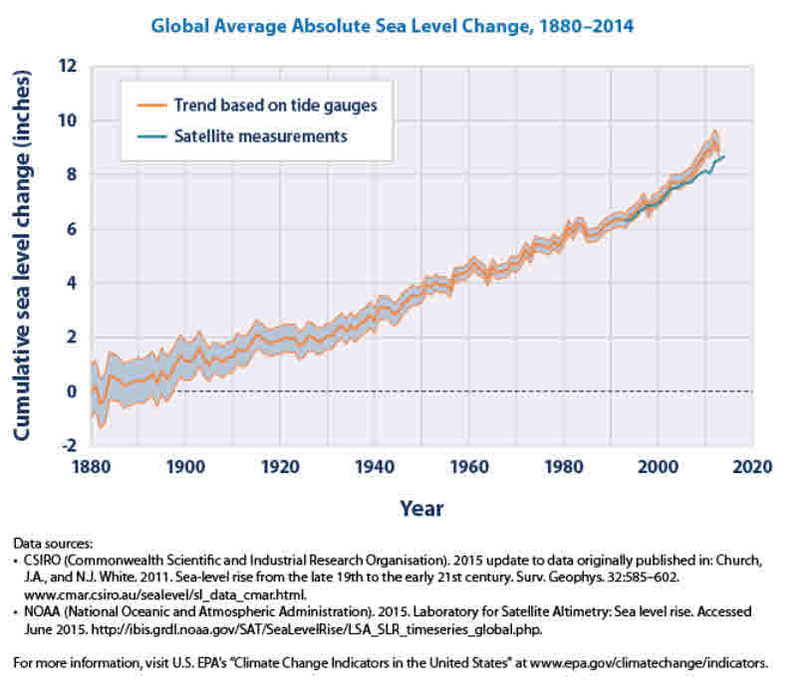 (Source: http://www3.epa.gov/climatechange/science/indicators/oceans/sea-level.html ) Again, the most significant number is the satellite data, which we only have for the last few decades, since the other data has a large degree of uncertainty, especially before 1940, and the site admits that the non-satellite data is “adjusted”. If a global warmingista, like Al Gore, really believed in catastrophic sea level rise, whey would he have purchased a ground floor town house at Fisherman’s Wharf in San Francisco, which he did? So, sea levels are rising, but they are rising at a much slower rate than they rose earlier, and we know that the rising over most of the last 25,000 years could not have been caused by changing CO2 levels, and there is no reason to believe that rising CO2 levels will cause a significant level of sea level rise. Of course, since most people in the world live near an ocean, rising sea levels will cause problems, but most of those problems are the result of people foolishly building expensive buildings near the ocean. 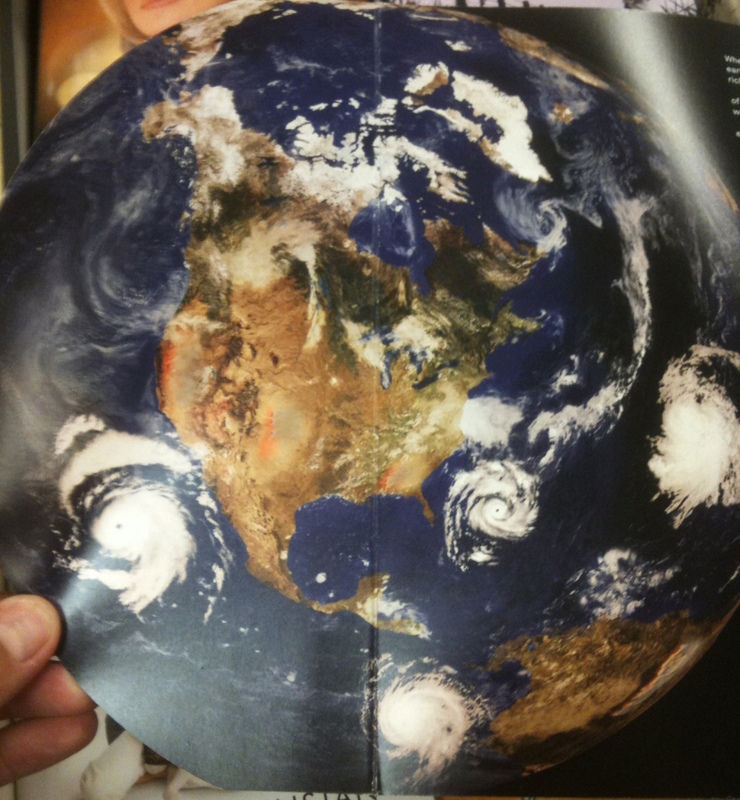 There have always been natural disasters, such as hurricanes and tsunamis, and these will continue. The more we build perilously close to the ocean, the more damage we will see. Rebuilding a city like New Orleans was, basically, stupid, because you know it will be destroyed by another hurricane in the future. The same goes for the Outer Banks, the Jersey shore, and much of New York City and Long Island. In fact, the worst hurricanes in the United States, happened decades ago, before these areas were so build up. As they become more and more built up, and as natural disasters like hurricanes and tsunamis occur, the damage will be worse and worse. We need to apply some reality to zoning, building, and development in areas close to the oceans. Of course, they have their obligatory disclaimer about how, even though Antarctic ice is increasing, Arctic ice is decreasing at a devastating rate. But, lets look at the following image from the same article. If the Arctic went ice-free each year, it would allow ships to traverse the area and greatly reduce shipping costs on some routes. 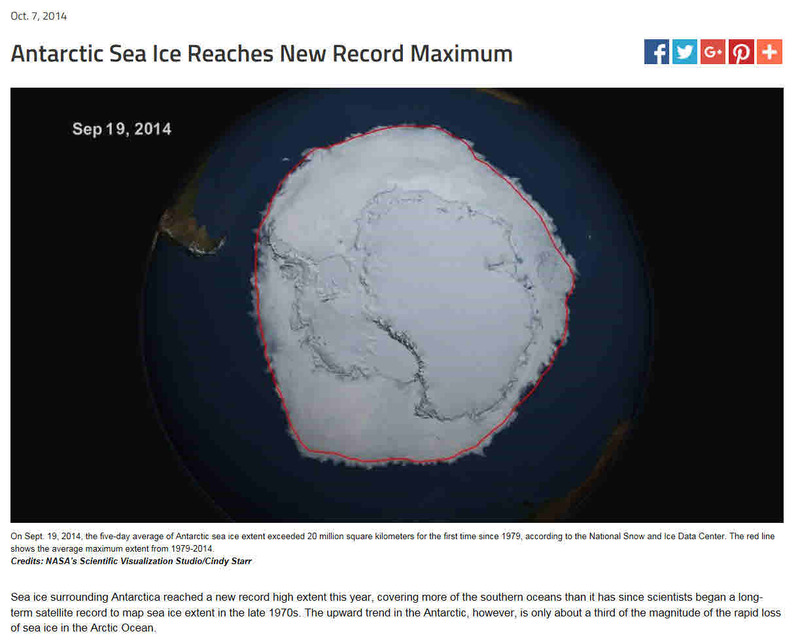 Again, this is not going to result in a huge financial advantage, but melting sea ice is not new and not dangerous. Finally, lets remember that Greenland was given that name for a reason. 1000 or so years ago, it was very green and settled. Then, it got cold and people left. 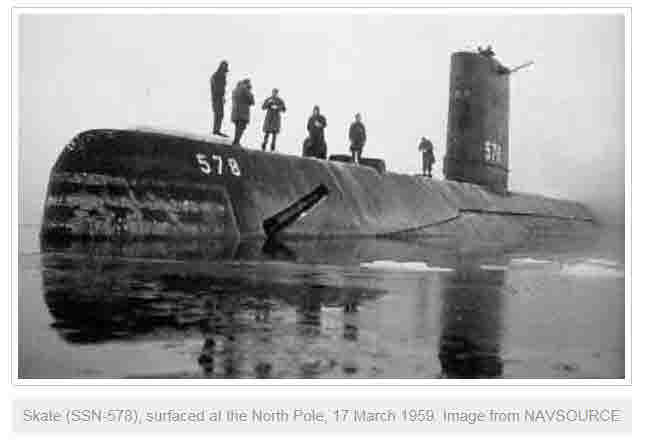 Again, the climate changed but it had nothing to do with CO2. Finally, lets look at climate change from a practical point of view. 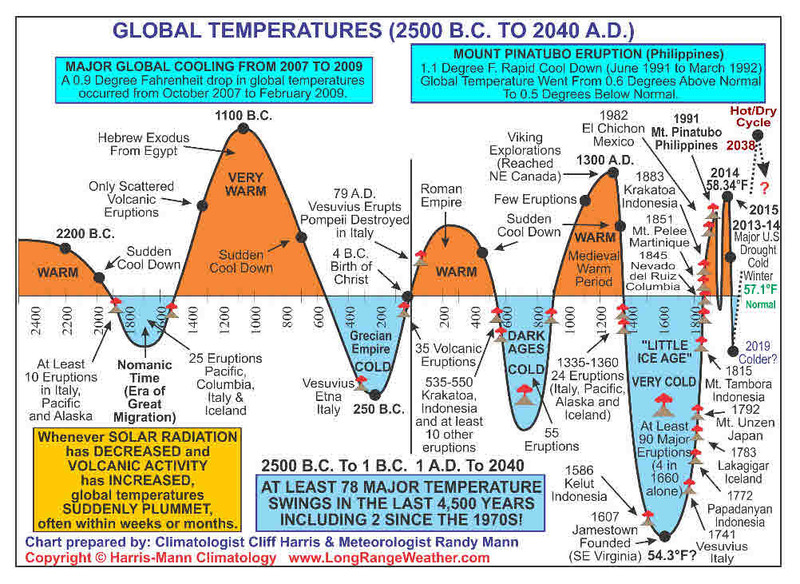 The figure below shows temperature over the last 5000 years. It has gone up and it has gone down. 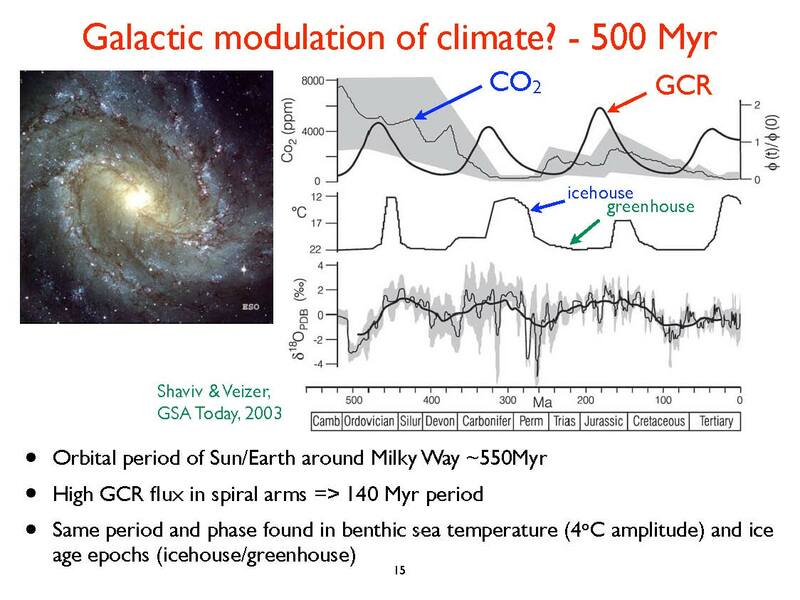 There is, obviously, no relationship to CO2. 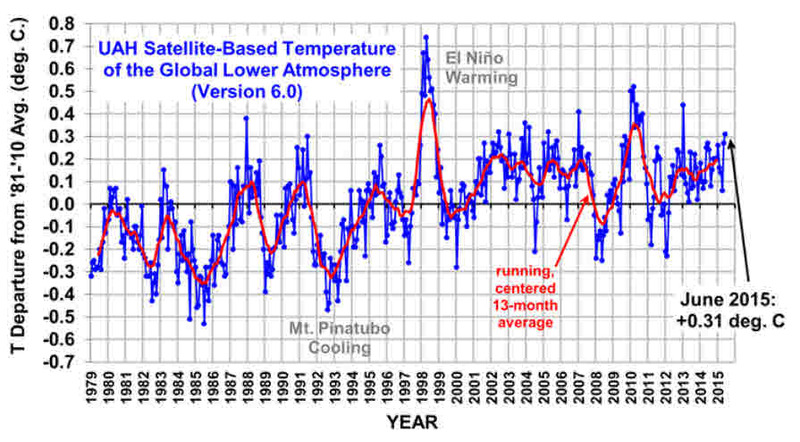 In fact, global temperature seems to depend on solar and volcanic eruption drivers, which makes perfect sense. It’s the sun, stupid! 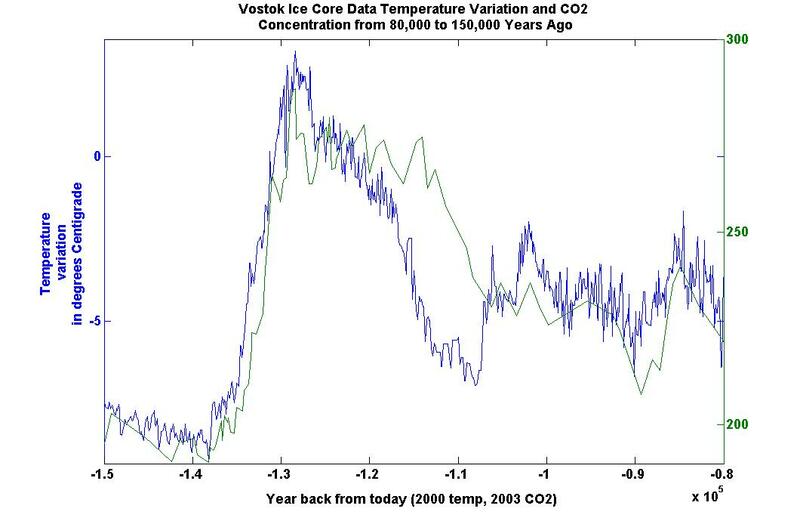 Again, as I pointed out before, temperatures have been both warmer and colder, without any relationship to CO2. The sun is now going into a very quiet period. This will allow more galactic cosmic rays to reach the earth. These will, in turn, result in more cloud formation, as explained in my earlier cited article . More cloud formation results in lower temperatures; something even a kindergartner can understand. (But, I bet you did not know that the computer climate models that all of this man-made global warming propaganda relies on do not take into account clouds!) We are now going into a quiet solar cycle similar to the Dalton minimum which resulted in the Little Ice Age. Thus, we can expect global cooling over the next few decades. And, global cooling is more dangerous than global warming. Historically, far more people freeze to death than “cook” to death. So, I have shown that “man-made global warming” is a fraud. It is designed to impose control over our lives and to restrict our rights. It is designed to transfer wealth according to a formula developed by the people that rule the world. (And those people do not include you and me.) We need to realize these facts and stand up against this tyranny. I have lots more evidence, and that will probably result in a book over the next few months, as well as additional articles. Posted in: Agenda 21, Al Gore, CERN, climate change, Climate scam, COP-21, cosmic rays, cosmic rays and climate, cosmic rays and clouds, global warming, global warming scam. commend you on standing up for truth (and scientific rigour). argument against the juggernaut is certainly welcome! In April of 2017, as we witness an idiotic “March for Science” that involves millions of people who know nothing of science or climate history, it is both socially and professionally dangerous to deny the validity of anthropogenic climate change claims. Yet any intelligent, informed person must be a denier of the conclusions of pseudoscientific fraud that is motivated by political ideology and greed, especially when it is presented with the hysterical trappings (brainwashing of the masses, suppression of all dissent, persecution of sceptics, creation of unproven myths, adulation of messiahs, etc.) of cultish religious fanaticism.